Most of the paintings included in this site are for sale. They, and many more can be seen in my studio. Sold paintings are so marked under their larger view. All the paintings look so much better than these miniature reproductions shown here. Come visit the studio in Ein Karem, and see the vibrant colors with your own eyes. I package myself and the subjects I paint, in books. The books are published largely under my own label: "A Stabilized Chaos Publication", which is Bernard Berenson's definition of art. Jerusalem-Tel Aviv was published in 1989. 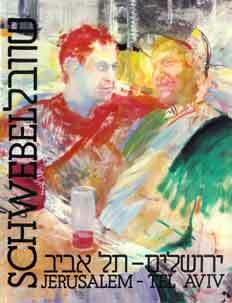 Many of the paintings are shown under the "David's Journey" and "Tel Aviv" categories. 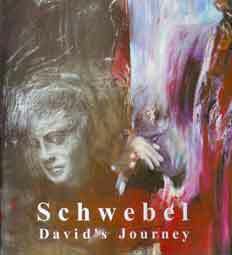 David's Journey was published in 2000, contains the paintings exhibited at the Center for Jewish History on West 17th St, Yeshiva U. Museum. My Holocaust book, The Inescapable, is yet to be published. Its paintings are shown here under the Holocaust category. The paintings are often accompanied by historical documentation and remarks by witnesses.